Particularly in inclement weather, trying to keep an exotic animal's temperature as close to their normal habitat as normal is important to prevent stress. Warming up or cooling the car before loading the animal may be helpful. Birds and small mammals: Carriers can be wrapped in blankets for insulation, so long as there is some space for fresh air to get in. Reptiles: Insulated carriers, such as camping coolers, or disposable Styrofoam coolers often work well. Fish: Always transport fish in water from their habitat to keep water quality variables consistent and avoid shock. Insulated, watertight carriers, such as camping coolers and disposable Styrofoam coolers often work well. 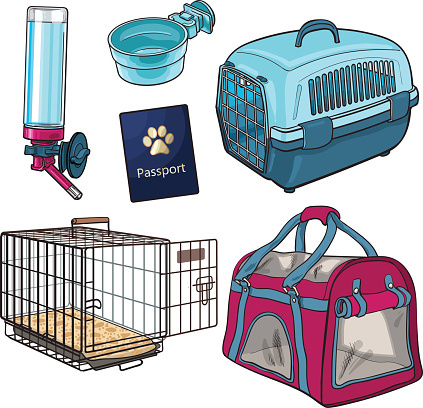 If the animal is to be transported for a significant amount of time, a larger container, with more water, will help keep waste levels from building up too fast. Using a water agitator like an air stone to increase the dissolved air in the water before transport is recommended.